The morels of Andesol are mainly imported from South America, in particular Argentina and Chili. Generally, they grow naturally on the foothills of volcanoes in the Andes mountain range. 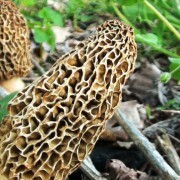 Known for their exotic taste, morels are more than appreciated by amateurs of good food. Indeed, they invite our taste buds for a sensory adventure on the other side of the world, in faraway lands, spared from the pollution. – Dried morels: even though preparing dried morels is a little long, the end result is more than worth it. Indeed, one needs to wait for at least half an hour, just for the re-hydration. Preferably, it is better to soak them in a container filled with equal parts of water and milk so that the taste is intact. Once this is over, one needs to just filter out everything to get rid of any traces of sand and soil. One should note that dried morels are five times lighter than those which are still fresh. A kilogram of fresh morels would therefore represent 200 g of dried morels. 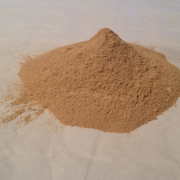 – Powdered or mealed morels : these are particularly appreciated for their practical nature. Easy to use, they can be included at the end of cooking or sprinkled directly on the cooked dishes. 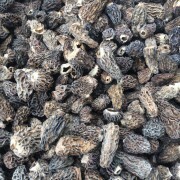 – Frozen morels : available all year long, they are packaged directly after their picking at their site of production. Stewed, fried or sauteed, fresh morels have a pleasant texture and a very authentic taste.